Gabby Salinas, Democratic candidate for Tennessee state senate, in Germantown, Tenn.
For Tennessee Democrats, it’s been seven years of political famine. In 2011, Republicans took control of the governor’s mansion as well as both houses of the legislature. But for the first time in recent memory, Democrats in the Volunteer State have flickers of hope. A Democrat hasn’t won a Senate race in Tennessee since Al Gore in 1990, but former two-term governor Phil Bredesen, the last Democrat to win a statewide campaign 12 years ago, is now locked in a tight Senate race with bomb-throwing Republican Marsha Blackburn. Yet the emerging story for Democrats in Tennessee is not what’s happening at the top of the ticket, but rather at the bottom. Even in one of the reddest states, frustration with the Republican Party and Donald Trump is bringing Democrats out of the shadows. In western Tennessee’s Shelby County, home to Memphis and its affluent Republican suburbs, signs of a political awakening are afoot. 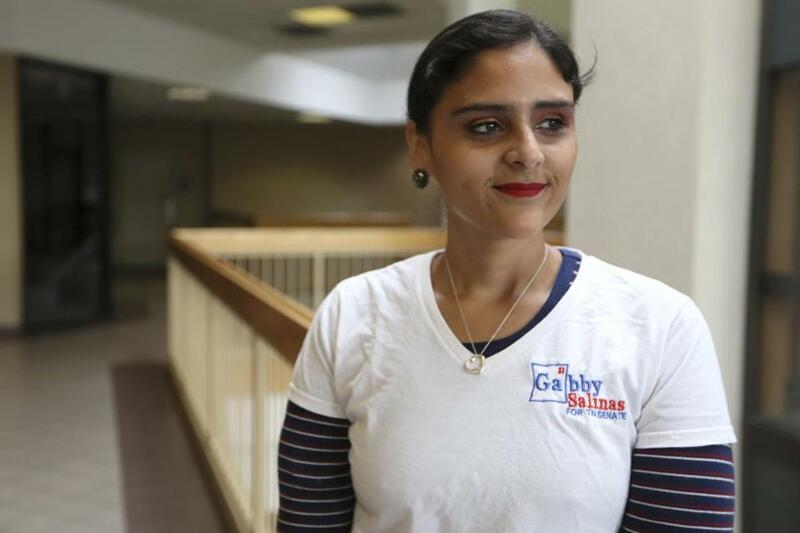 Few candidates better embody the region’s changing political dynamic than Gabby Salinas, a 31-year old PhD student running for state Senate. 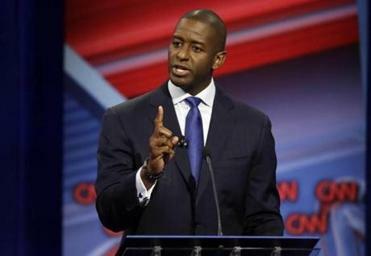 If he wins, Gilllum’s campaign may create a model for other Democrats to follow. Salinas, who outmuscled a better-resourced candidate in a competitive Democratic primary, has a personal story that is the stuff of Hollywood movies. Born in Bolivia, she has survived three bouts with cancer (one diagnosed when she was 7) and a deadly car crash that killed her father and younger sister and left her mother paralyzed. She later worked at St. Jude Cancer Research Center — the same facility that saved her life as a child. Her political awakening came after Republican state legislators refused to expand Medicaid after the passage of Obamacare in 2010. She traveled to the state Capitol to lobby for expansion only to watch helplessly as her state senator, Republican Brian Kelsey, rebuffed his own Republican governor in shooting down the effort. “Watching that go down was a big motivator for me to get into the race,” Salinas told me. Now she is challenging Kelsey. While her bid is a long shot, Republicans are clearly concerned. A state GOP political action committee recently dropped $300,000 in negative TV ads against her — an enormous sum for a state Senate campaign. Four years ago Kelsey ran unopposed. This year he, like many of his GOP colleagues in the legislature, is facing competition from a once moribund state Democratic Party that has recruited candidates for 95 percent of this year’s legislative races. It’s a far cry from 2014, when Democrats contested only half. In August, Democrats swept local elections in Shelby County, and women were at the forefront, winning nine of the 13 races. For many Tennessee Democrats, 2018 is the first time in recent memory they’d been willing to speak up in a place where being a liberal often meant not speaking at all. “I’ve always had a lot of opinions,” Sanjeev Memula, a Democratic candidate for the state House of Representatives in East Memphis, told me. “I didn’t always want to go public with them.” After Trump’s election his priorities changed, and he felt he had no choice but to get involved. Kalyna Hanover, Memula’s campaign manager and a local Democratic activist, said she’d previously been reticent to talk about her political affiliation, fearful that an Obama or Clinton bumper sticker might get her car vandalized or lead to repercussions at work (a refrain that I heard from a number of voters). “People coming out of the closet” as Democrats, she said, was one of the most exciting things to happen since 2016. In a year in which other Southern Democratic candidates, such as Andrew Gillum in Florida, Stacey Abrams in Georgia, and Beto O’Rourke in Texas, are wearing their liberalism on their sleeves, Bredesen is running for the US Senate as a prototypical red-state Democrat — pro-business, fiscally responsible, and practically embarrassed about his political affiliation. It is, by all accounts, the only chance he has to win. A Senate win in Tennessee would give Democrats a jolt — proof that the party can still compete and win in one of America’s reddest states. The question is whether the energy seen this cycle — and the abundant anger over Trump’s presidency — will be enough to sustain a Democratic renewal. As I joined Salinas outside an early voting location in the heavily Republican suburb of Germantown, it was clear she has her work cut out. Several voters came up to her, shook her hand, gave her a hug, and wished her the best. But most simply gave her a polite nod and headed inside. It’s easier, I suppose, not to shake the hand of a person you’re about to vote against. But Salinas, who has dealt with far more adversity, remained upbeat. Whatever happens on Election Day, the enthusiasm she has brought to the race — not to mention the decision to give voters in a one-party state a political alternative — may be 2018’s most enduring political transformation.